Looking to outsource customer service department? You are not alone. Almost 54% of all companies utilize third-party support teams to connect with customers. The outsourced customer care services industry is set to become a $110 billion industry by 2024! Outsourcing tasks is an appealing idea. It can save you money, resources, and often, a great deal of stress. Farming out your customer service to an external team can cut overheads significantly. But it’s definitely not a one-size-fits-all solution and there are no magic outsourcing beans. Planning to take the plunge with outsourcing, where an external company directly interacts with your customers? Then weigh your options carefully. This article is a handy guide to help you decide if customer service outsourcing is the right choice for your business. Conducting the transition process smoothly. Choosing to outsource an area of your business means you’re hiring a third party to handle it on your behalf. While this article focuses on outsourcing customer service, almost any part of a company can be outsourced, including graphic design, billing, collections, or data entry. If you are unfamiliar with outsourcing or have never tried it before, check out The Complete Guide To Outsourcing. Ready to ship out support duties? First, you need to figure out the objective and the benefits of outsourcing your customer support. Looking for the same quality of customer support, but at a lower cost? Outsourcing your customer service staff is a good alternative to hiring a full-time support team. Outsourcing allows you to hire contract workers rather than full-time employees. This means you don’t have to pay a fixed salary and offer benefits like healthcare, transportation costs, overtime, etc. You can save around a total of $3000 in initial setup and infrastructure costs alone! Moreover, your workforce costs are further reduced if you outsource customer service to a country with a lower cost of living. For example, the cost of living in India is 65.98% lower than that of the US. This means you can offer lower and more competitive rates to your outsourced customer service team based in India. Unsure whether outsourcing customer service will generate savings for your business? Find out through this cost-saving calculator. Some businesses like e-commerce might be busier during the holiday season. So you might have to hire additional help to meet the higher customer support demands quickly. If you choose to hire employees – the process of finding, interviewing and training applicants can take a few weeks. Companies like Acelerar and PartnerHero can provide fully-integrated customer service teams that can quickly adjust to your company’s processes. Different customers might have the same query or run into the same problems. Instead of trying to resolve the same issues over and over again, you and your team’s time is better spent on other projects. An outsourced customer support executive is a good option when the questions are not too technical. When your company is undergoing rapid changes and growth, you might not be able to focus on customer support. This is the right time to outsource support to maintain responsive, high-quality service while figuring out the long-term goals of your company. Let’s say you want to increase the geographic reach of your business. You will need to hire multilingual support employees that can communicate with your new customers effectively. If you outsource this support requirement, you can easily advertise this feature to broaden your customer base. Outsourcing has been around since the internet-age. However, there is still a large knowledge gap that gives rise to all sorts of myths and misconceptions. Don’t fall into these pitfalls when deciding to switch to outsourced support teams. While outsourcing can cut costs in the short run, it might affect your quality of service. Low-cost customer service providers are generally equipped to handle only repetitive support requests. So they might not be well-equipped to handle highly-specific or technical requests. Outsourcing isn’t a way to just get rid of customer support responsibilities. It’s a partnership that requires communication and hard work on both sides. 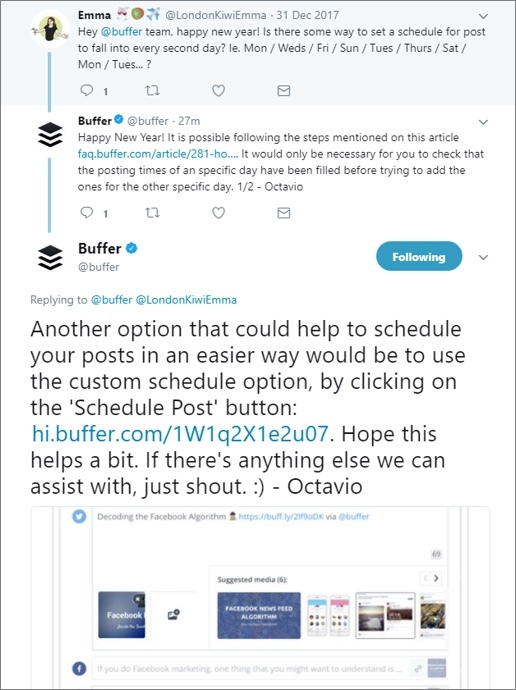 If you leave your outsourced support team to fend for themselves, they might get disconnected from your brand. As a result, your customer support quality can drop at an alarming rate. Yes, customer service providers are experts, but don’t expect them to solve all your problems overnight! Delivering a great customer experience takes time, consistency and planning. You may need to put in a lot of initial hours training your outsourced team. Before you even begin to search for external help, you need to create an action plan on how to achieve your customer service goals. How do major companies ensure top quality customer service while outsourcing their staff? Here are five secrets to efficient customer service outsourcing processes. Whether in a text, phone or through your branding – your customers are used to the way you talk to them. When you use an external support team, they should sound exactly like your internal support staff. So how do you train your outsourced support team? Create a set of brand guidelines that specify what your team can or can not say. Run through hypothetical scenarios that they may have to face in the future and gauge their reaction to the situation. Make them watch Dilbert cartoons in a loop so that they know how to handle difficult people. Okay the last one might be a stretch but definitely the other two. You should spend a considerable amount of searching for viable customer service solutions. Some call centers are great at handling high-volume or repetitive conversations, while others focus on in-depth situations. You would have to consider the time differences, language needs and the minimum support volume among other things. You need to review your internal security before you allow a third party to access your documents. Figure out which customer data is sensitive. You can then restrict access to certain information like credit card details, health records, etc. Before you sign any binding contracts with the customer service provider, have your legal team review the documents. Since you might need to communicate with your outsourced support team, you would need to use tools like Slack or Skype. 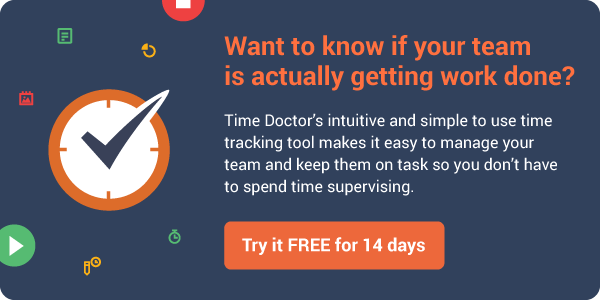 If you are billing your outsourced support employees per hour, Time Doctor is a great option. It automatically calculates pay based on actual hours worked. No matter how busy your schedule, you would need to dedicate a large chunk of your time to train your team. Why is training so important in customer service? The quality of customer support can make or break your company. After one negative experience, 51% of customers never do business with that company again! Moreover, customers are 65% more likely to spread negative feedback because of a single poor service interaction. 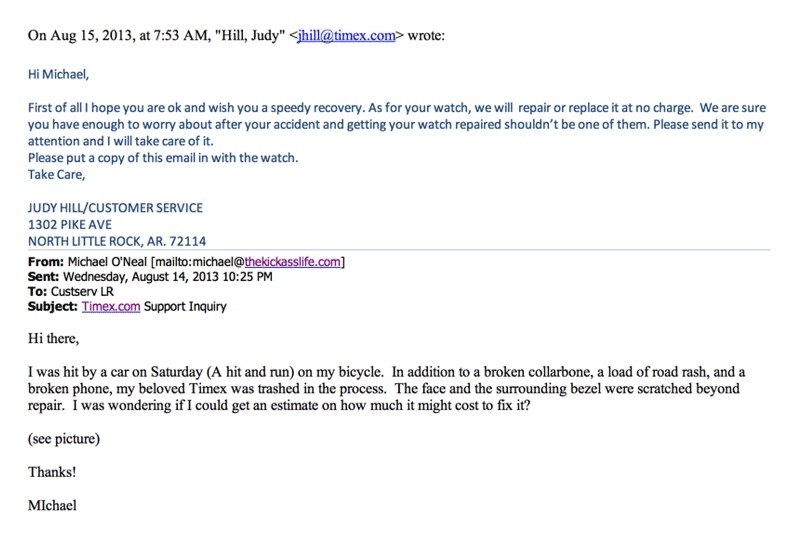 All of this shows the importance of maintaining a high quality of customer service at all times. Check out these effective strategies to train your outsourced support team. Which Type of Customer Service Should You Chose? Once you’ve determined that outsourcing is right for you, it’s time to explore the different types of providing customer service. You can also do a combination of different methods and outsource them to different customer service teams. Email support is generally a safe outsourcing bet. Most customers won’t expect an instant turnaround, and 24 hours is the current industry standard for a response. This window gives representatives plenty of time to research any needed issues and respond to the customers’ questions. Email interaction also eliminates one of the most common consumer complaints about outsourced customer service – difficulty understanding the representative or being understood. Live chat support is a more immediate customer service role that an outsourcing team can also fill. 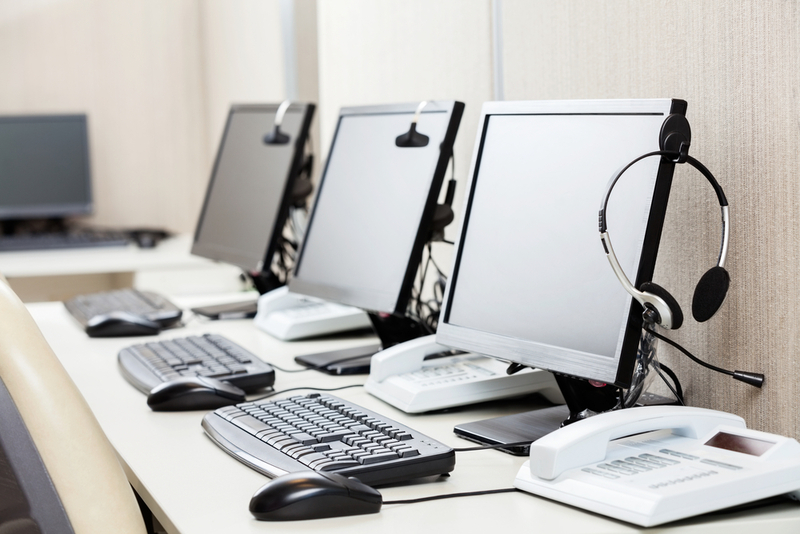 Call centers are a good option, particularly if you have a high volume of customer interaction. If you use this method, it’s important to choose the call center carefully. Representatives might handle hundreds of inbound or outbound calls a day from a variety of companies, and employee turnover rates can also be an issue. Check out our 7 Step Checklist for Call Center Outsourcing that can guide you through this process. In addition to traditional methods, many businesses are handling customer service issues and concerns on Twitter or Facebook. Often, a customer’s question can be resolved with just a quick response, making Twitter’s 280-character messages a perfect way to communicate. It also allows customers to leave a message and get a response quickly without having to wait. Some businesses even take a proactive approach, searching for their company name to find complaints or queries they can respond to. Since there are a number of social media-specific outsourcing professionals, this can always be handled by a third party. If your customer support team is truly in need of outsourcing but doesn’t need a lot of manpower, working with freelance customer service representatives may be a viable option for you. 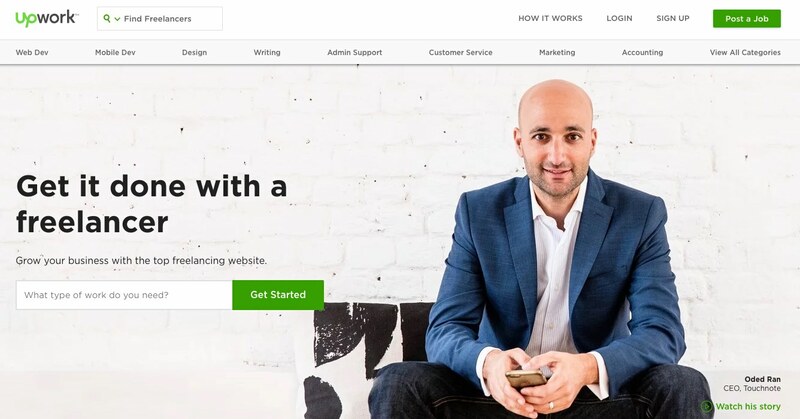 Websites such as Freelancer and Upwork match businesses with contractors. You can post a description of the work you need done and review applicants’ resumes as they come in, or browse a searchable database of potential freelancers. These sites provide ways to track and manage workers’ time, offering money-back guarantees in the event a worker doesn’t complete his/her work according to quality standards and dispute resolution to assist with these situations. Best of all, these sites are free for companies. The work done by a contractor or a group of contractors will require a higher degree of oversight,, so if you don’t have the time or the resources to monitor their progress, consider a more comprehensive solution from an established provider. This section lays out different strategies you can use while searching for third-party support employees. We’ve all heard someone complain about trying to resolve a problem with a customer service representative they couldn’t communicate with. It’s frustrating for both the customer and the representative when language barriers prevent clear, effective communication. If you choose to outsource customer service based in an area where this may be an issue, investigate this aspect of service by doing a test call to be sure it won’t interfere with service quality. Do an online search for blogs or forum posts that mention the center’s clients. You can find consumer reviews that can give you further insight into a typical customer service experience. Another way to maximize the level of customer service when outsourcing is to find vendors that provide incentives to customer service representatives. Some call centers provide tiered bonuses that allow representatives to earn more money per hour, or a bonus when they exceed goal expectations. Others provide point reward systems that let employees cash points for prizes. Gamification help revitalize a customer service floor and encourage them to meet metrics. Many companies use a call center software that records some or all calls. The calls can then be reviewed on a regular basis. Monitoring calls allow you to give representatives feedback on their service. If the system records all calls, they can also be accessed to help with resolving escalated customer service issues or for legal reasons. Just knowing that a call may be recorded goes a long way toward encouraging call center employees to provide excellent service. Before you pick your ideal call center, find out who some of their clients are and do a test call as a customer asking a question. It’ll give you a real-world look as to how your customer’s calls will be handled and can give you an idea of whether or not you want to engage the company to manage your customer service. Finding customer support reps for your team is no simple task. Recruitment can take days, weeks, and sometimes, even months. Fortunately, there are a few ways in which you can cut down recruitment time. There are a few key traits that determine whether a potential employee would be a great fit in your support team. The people you employ need to enjoy and be passionate about service. They need to have long-term career goals – to ensure that your remote customer service rep would be motivated even when you are not around. Let’s face it. Customer service isn’t all that easy. You would need to keep your cool while talking to frustrated customers all day. That is why Emotional Intelligence (EQ) is a customer service requirement. You or your support managers should actively look for candidates with high emotional intelligence. Sites like arealme offer free EQ tests which you can use to filter your applicants. In some cases, your customer support reps would have to answer tough technical questions. Instead of searching for freelancers on sites like Upwork and Freelancer, you should try some niche job sites. Looking for support workers for your startup? Try AngelList.co. Looking for workers that use slack to communicate? Try Slack at Work. Looking for seasoned support executives? Try Support Drive Jobs. Looking for experienced workers from a different geography? Try Remote OK. Referrals are an underrated source of hiring new remote employees. According to Dr. John Sullivan, 88% of employers have said that referrals are the best source for above-average applicants. You can ask other talented customer support managers in your circle for recommendations. Once you decide to choose a large provider like a call center, you would need to spend a few months carefully delegating responsibilities. Switching to an outsourced support team is not easy, but here is a five-step process that can guide through this transition phase. When you strike a deal with a third party, you would need to pay close attention to the contract. Hire an attorney to review any paperwork you don’t completely understand. They have the experience to predict what you may need in the future. Don’t be afraid to suggest changes or additions you need. In addition to detailing how the partnership will work and what is expected, the contract should include conditions that allow you to discontinue the relationship. This may consist of a particular set of quality standards, or may just be a time period after which the contract is up for renewal. Be sure to read service level agreements in depth as well, and consider whether they apply specifically to your business needs. Many call centers tend to focus on handle-time – that is, the average amount of time the representative spends with each caller. They strive to minimize handle time to a few minutes per customer, providing the most efficient service possible. While this is profitable in that it allows representatives to field more callers during their shifts, it can also negatively impact the level of service each caller receives. A representative who feels rushed to meet a handle time metric may not go out of their way to explain something extensively or offer other services. It may be more beneficial for you to emphasize other metrics in your service level agreements that are relevant to your company’s goals. You need to maintain a connection between your existing and your outsourced team. How do you this effectively? Hire an internal staff member whose role is to facilitate communication. This staff member can keep both parties informed about what’s happening or assist with passing messages along. Your ‘link’ employee can help prevent misunderstandings about expectations, training, performance, and procedures as well. If you do choose a call center team, you would need to create a project team with three key players – project lead, process migration manager and your ‘link’ employee. If your customer service requirements are complex,you might need to hire a technology manager as well. Delegate responsibilities to the project lead from the beginning until the final phase of transition. Solve communication issues within the team. Map and document customer service processes. Create adequate documents and guides for the training processes. Share knowledge within the team. Some tools like Slack, Time Doctor, and Clickup require an onboarding process. 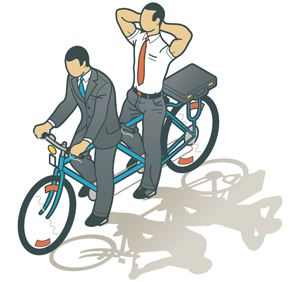 So you would need to team up with your migration manager to guide your outsourced team through the entire process. While the point of hiring an outside firm is to let you focus on other priorities, it’s still critical that you make sure they’re doing a good job. Keep tabs on the level of service your customers are receiving. Make periodic test calls to experience customer service firsthand. Also review any available data or metrics to look for problem areas such as dropped calls, multiple calls to resolve the same issue, or other hitches in service. Among other things, providing good customer service is the hallmark of a good company. Outsourcing your support needs can help you maintain a high standard in customer service without undertaking the investments involved in building an in-house team from scratch. What has been your experience with an outsourced customer service team? Let us know in the comments below. Good one. Very useful content. 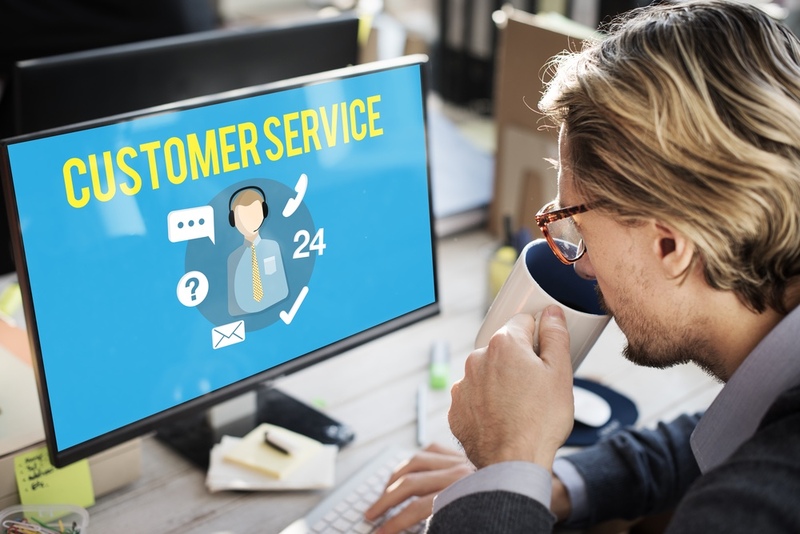 Outsourcing customer service is not necessarily about cutting corners – it’s about doing your best to fulfill the customer service needs of your customers, and to leave them with a positive experience. Seeking to outsource to a call center is a very smart initiative. The cost to maintain internal resources which includes paying high wages, taxes, worker’s compensation insurance and benefits outweighs the benefits. For a low hourly rate you can simply outsource overseas. Outsourcing provides a level of continuity to the company while reducing the risk that a substandard level of operation would bring to the company and benefiting the company in many other ways. Outsourcing customer service tasks to a professional company undoubtedly does magic for businesses. The only factor that matters is going for the right option at the right time. I have had great success with outsourcing customer service after trying a few companies that weren’t so great. I think traditional call centers are not a very good option for outsourcing customer service. In most of those you dont have access to the agents that are representing your company which is very bad. You need to be able to communicate with your agents to train them and stay on top of what your customers are telling them about your business. I found that with call centers it was basically me providing them with a script for random agents to read off of. I suggest you shop around and find the one that works for you. Hi Larry, can you tell what this service was? I got curious. some great points on here, though I would certainly be very careful if you choose to go with a freelancer program like Odesk. They can be handy, but you will have a hard time finding reliable staff. You could very well waste more resources looking for candidates and keeping them on track than hiring your own staff. These days, most outsourcing companies have small packages available billed by the minute. Its often much cheaper to pay this way then hire full time staff who may only take a few calls throughout the day. I would caution to find a firm that does not have long term contracts or someone who offers a test run of their services. Thank you for the post. I have a question though, I’m starting a small business and I will need to eventually employ a call center. My question is: how do I select a call center that caters to my specific needs? Select them like you are hiring a new employee. On my experience, I would always need to check the success history of the prospective call centres (how long they have been runnning; what their niche market is; if any) Ask for their portfolio, company profile, have a chat with their client relations manager and tell them exactly what you need short term and what you are looking to do long term and see if they fit the bill. Interview them and their employees to see if they meet up to your expectations. My current provider specializes in small scale businesses. I might be able to refer you to who i get services them depending on what you are setting up. Natasha if you ares till in the market we provide turn key customer support solutions. If you are looking for offshore solutions please drop me a line.